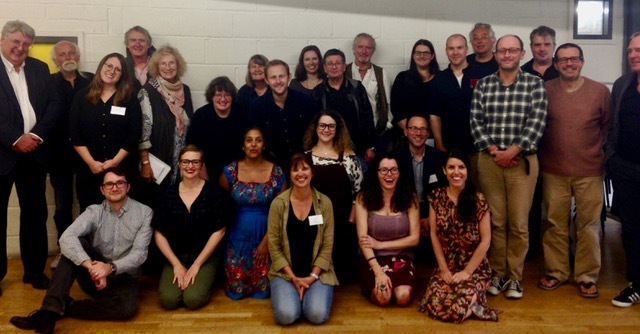 Participants at the Performance and Media Committee consultation event, Actors Centre, London. Why do you keep working with Shakespeare? What opportunities and challenges does Shakespeare offer you? How can the BSA best support the community of practitioners working with Shakespeare in performance? The day proved a wonderful opportunity to get together and share the many joys and occasional frustrations of working with Shakespeare. 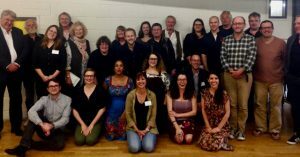 Involved in the day were an impressive array of directors, actors and other practitioners who spend a great deal of their time working with Shakespeare across companies and projects big and small. As part of this group we had representatives from smaller theatre companies: Butterfly, Dolphin’s Back, Fred, Lazarus, Pantaloons, Red Rose Chain, Shakes-Scene, Three Inch Fools, and Willow Globe. We began a rich, rewarding conversation together that we hope will grow to include many more practitioners sharing their skills and expertise with each other. If you’d like to see a summary of the ideas we discussed, click here. If you’d like to know more about our plans for developing these ideas, and how you can get involved, please join the BSA (free membership for theatre practitioners) and we’ll keep you updated.